deeply shallow: Sign up to host COEXIST! So I'm gearing up for the new year and one of the first things on my schedule (besides the upcoming Easter play) is the launch of Coexist. 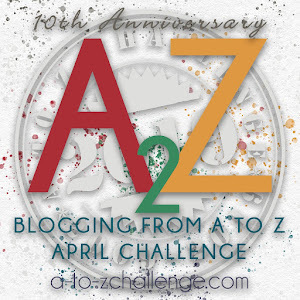 Coexist, in its first incarnation, was the 2014 A to Z Blogging Challenge, where I wrote 26 pieces of flash fiction about fairy creatures from A to Z. It's gone through a few rounds of edits, sent for beta reading, been re-written a few more times, retitled a couple of times and now... now I think I'm almost ready to let go of it. In my head, all I need to do is work a little more on the last two chapters. If you'd like to help out, please sign up below. I'm offering ARCS for review (to be sent by 1 Feb or thereabouts) and you can get one even if you don't have a blog, as long as you post your review on Goodreads and/or Amazon during the blog tour dates from April 1 - 9! Just put that down in the notes. In a little corner of 1950’s Britain, the Old Fairy Kingdom and the Elvish Kingdom have eked out an existence near a little human village. An old treaty dictates that each race must not venture into the other's territory during the rare times that the portals between them open, mainly to prevent humans from hunting the magical creatures who are slowly dying out due to lack of belief. When Jane gets caught in an unexpected rainstorm, she ignores all the warnings she has grown up with and seeks shelter in a cottage in the middle of the forest. Soon, she is caught up in a world of magic and beauty – and in the storm of the Fairy Queen’s wrath. Expected publication date: April 1, 2016.